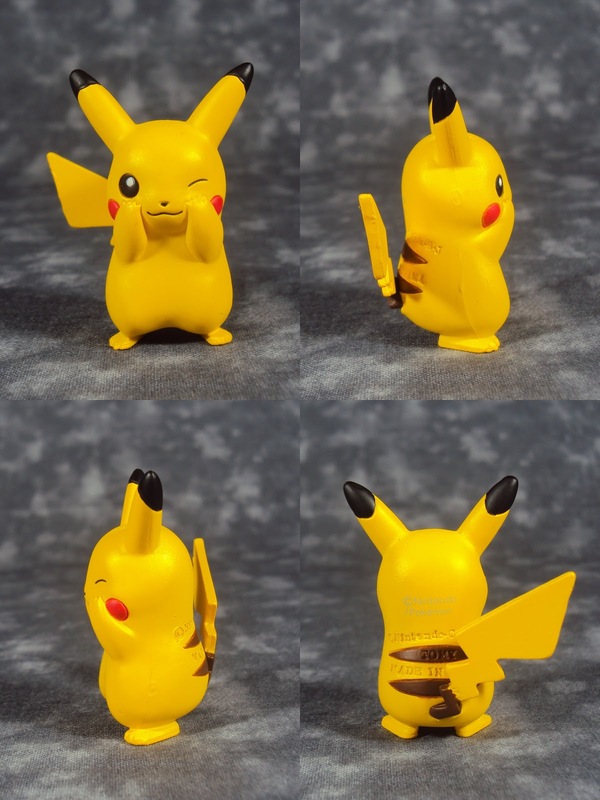 In order to have a wide range of Pikachu expressions to use for my comics I also picked up this Monster Collection figure set, Pikachu Party, and I must say I do not regret my decision. These figures are up to the same good quality as the rest of the Moncolle figure line, however some of the placing of the licencing info is a bit more questionable on these with some of the coloured labels being placed in full view. 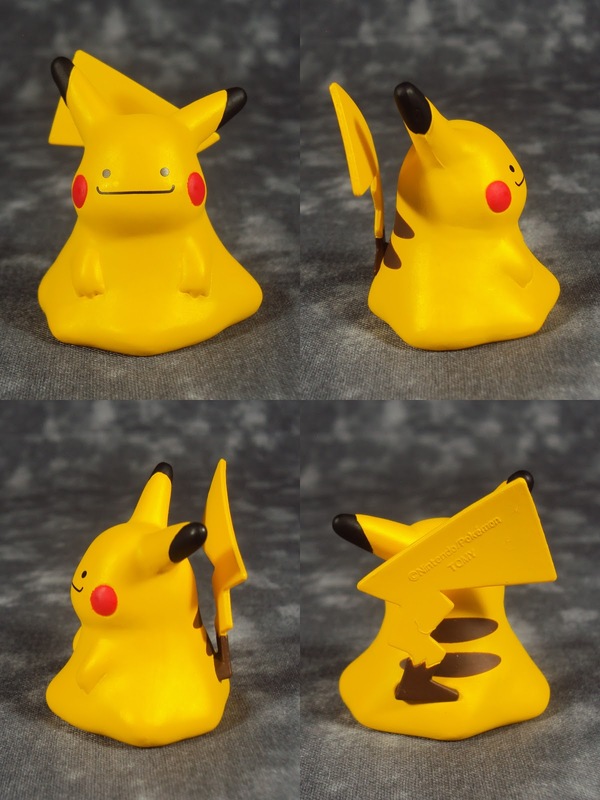 First up is this hilariously adorable Ditto-chu, which makes me feel as if I now have to find a regular Ditto figure! 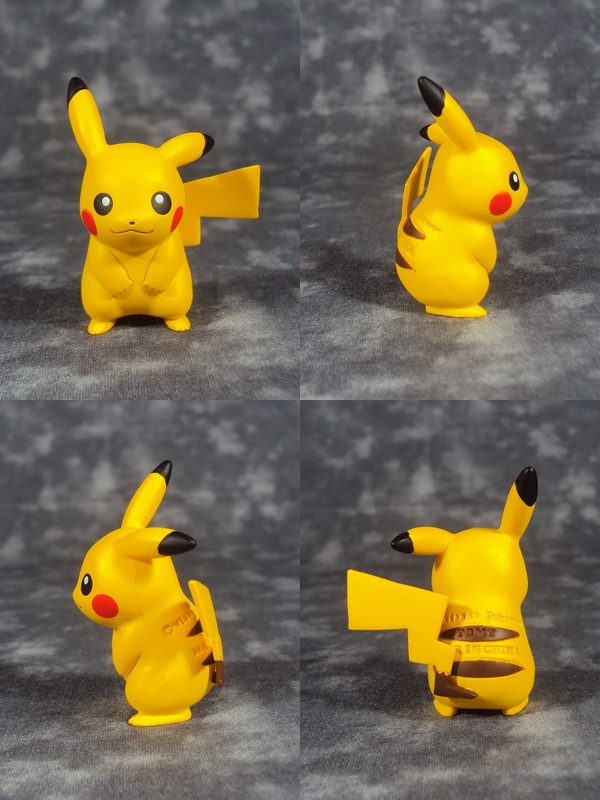 Then there is a cute winking Pikachu who is I think is trying to be the most adorable Pokemon alive. 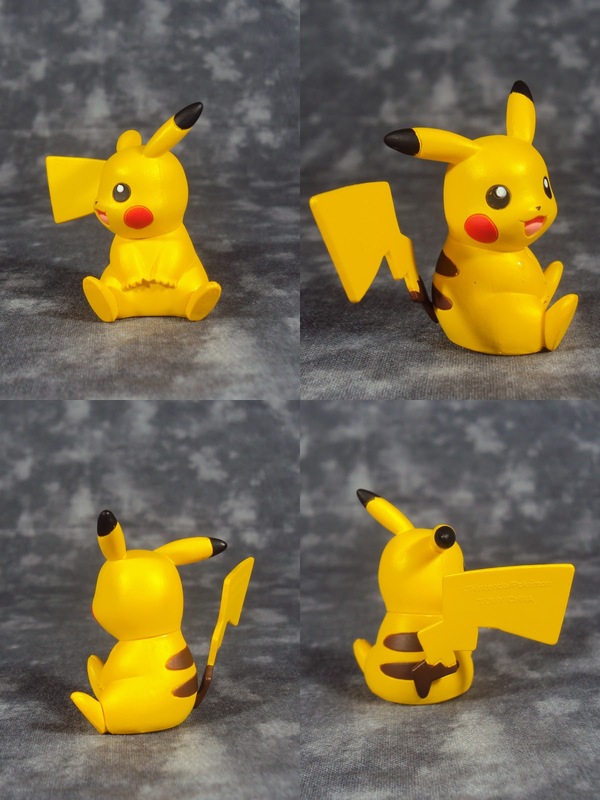 There is the standard Moncolle Pikachu pose. Then there is this cute female Pikachu also vying for the most adorable Pikachu prize. And to make a matching pair there is a male Pikachu to sit beside her. 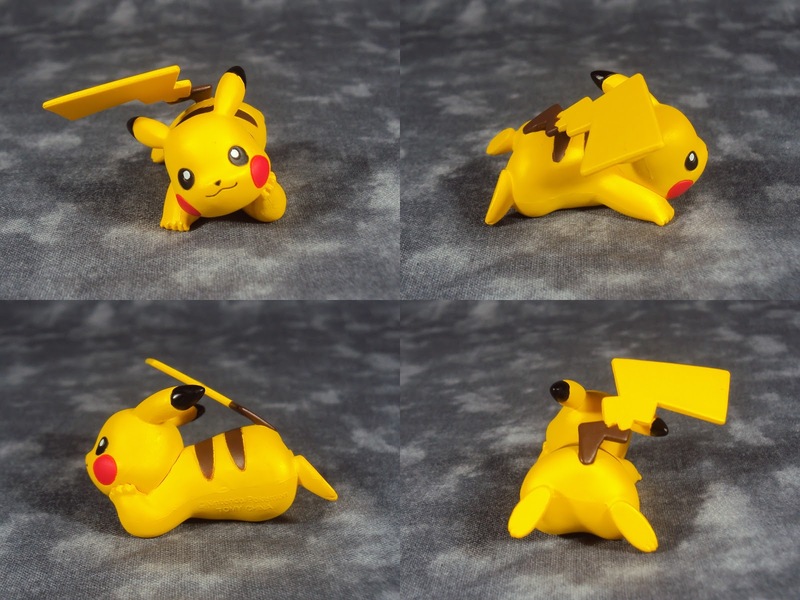 And lastly there is this super chilled Pikachu. 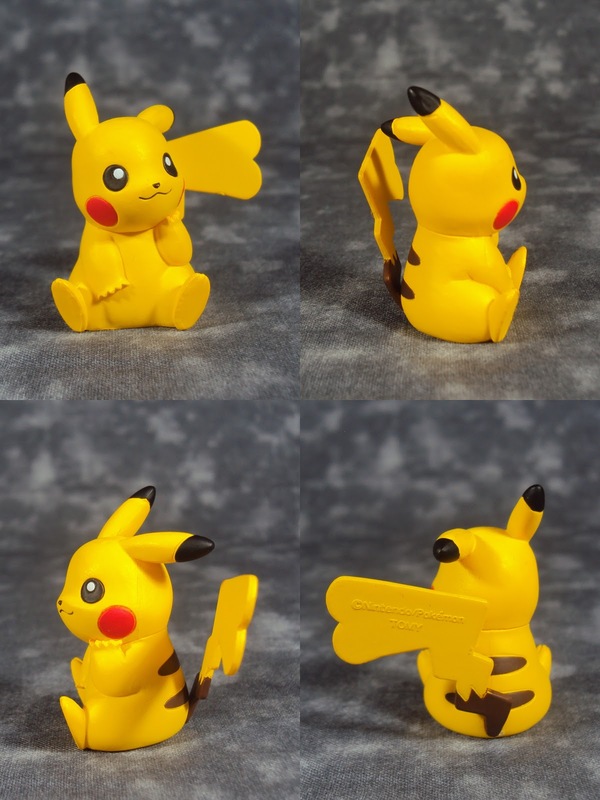 If you are a fan of Pikachu and like having an army of mini-chu's then I highly recommend this set as its real good value for money.